Enter the world of Carlos “DJ Styles” Garza, who has in turn been a high school b-boy and aspiring graffiti artist, an up and coming club DJ, producer for the highly creative hip hop artists Odd Squad and Devin the Dude, and an independent producer and audio engineer. This digital collection contains approximately 50 artworks, sketches, fliers, and promotional items from the eighties to the 2000s, related to Garza’s life in hip hop. Carlos Garza was born in Reynosa, Mexico in 1968, and settled in Houston with his family in the 1970s. As a teenager in Bellaire, he fell in love with hip hop through the music of the original pioneers, and films like Wild Style. 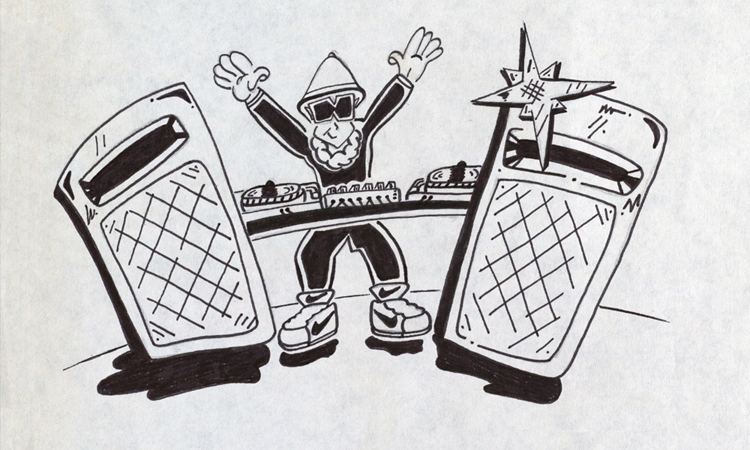 In the mid-1980s Carlos began break dancing under the name DJ Pace Master. He and a few friends formed the Dynamic Crew, a break dancing group which performed at parties and participated in contests. They and other friends also sketched hip hop style artwork and practiced making potential graffiti tags. After a year of break dancing, Garza decided to switch to DJing and began performing at house parties and school events under the name DJ Styles. Garza got a job at Soundwaves Records on South Main in 1987, where he worked until 1992 as the store’s buyer for hip hop (at a time when many music stores in Houston were not stocking hip hop). During that period, he launched the career of the legendary producer DJ Premier by recommending his friend to a New York label owner who was looking for a member to join the group Gang Starr. In the early 1990s, Garza began working with the group Odd Squad (Rob Quest, Devin, and Jugg Mugg) as a producer, contributing to their classic Rap-A-Lot album Fadanuf Fa Erybody. He has also done production for Devin the Dude and the Coughee Brothaz, and these artists are represented in the digital collection. The original materials are available in the UH Libraries' Special Collections in the Carlos “DJ Styles” Garza Papers. The Emilio R. Ypiña Journals is a manuscript collection consisting of 5 distinct journals authored by Emilio R. Ypiña (1905-1936). A self-educated Mexican national born in Aguascalientes, Aguascalientes, Mexico, Ypiña immigrated to Houston, Texas, following the Mexican Revolution of 1910. Each volume contains approximately 100 pages and 10-20 poems, essays, and journal entries authored throughout the 1930s, the bulk in 1933. There are approximately 50 distinct poems and sections of prose in the collection, as well as variations of certain works. Each “Scholastic” bound volume reveals Ypiña’s observations of the world around him and his reflections on society, spirituality, international relations, and world history. A few of the specific topics mentioned include: masculinity, Asian philosopher Confucius, and the inequalities present in his local Houston neighborhood, Magnolia Park. The original materials are available in the UH Libraries' Special Collections in the Emilio R. Ypiña Journals collection. This collection consists of images taken from an early 20th century promotional pamphlet encouraging Americans to visit Havana, Cuba. The color illustrations depict palaces, beaches, parks, boulevards, harbors, and other tourist attractions. All 23 pages of the booklet are represented, including the colorful front and back covers. Titled Havana, Cuba: The Summer Land of the World, the booklet itself was published sometime in the years 1921-1939, capturing the allure of the island in the pre-Cuban Revolution era. The introduction page extols the many activities that might entice American travelers to visit Havana – especially to escape the “icy gales” of winter – such as sailing, sun bathing, deep sea fishing, golf, tennis, polo, and dancing. While trumpeting the city as a top tourist destination, the introduction also adds historical and contextual information about Havana’s harbor, architecture, commerce, and culture. Americans are assured that passports are not required and that their “personal liberty is unrestricted.” A full transcription of the page is provided beneath the image. 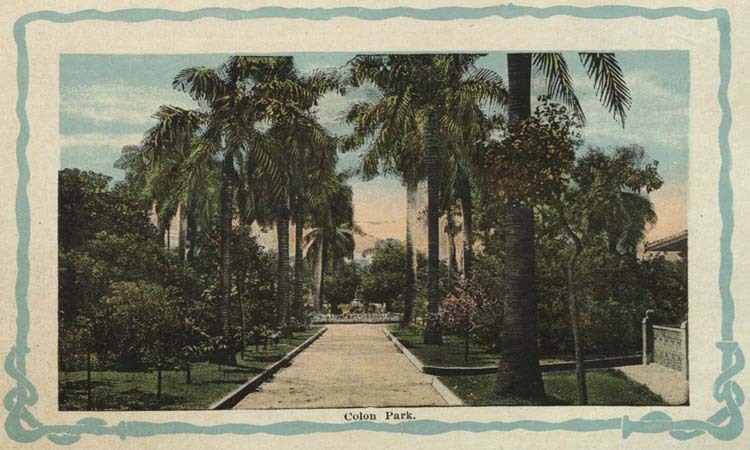 Highlights of the collection include colorful images of the Country Club of Havana, the Presidential Palace, City Hall, La Fuerza Fortress, the Senate Building, and the Malecon, a broad avenue and esplanade curving along the coast. Other images showcase parks, monuments, a tobacco field, and views of the water as both background scenery and a center of recreation and transportation. Titles of the images are taken directly from the booklet. The original materials are available in UH Libraries’ Special Collections in Havana, Cuba:The Summer Land of the World. 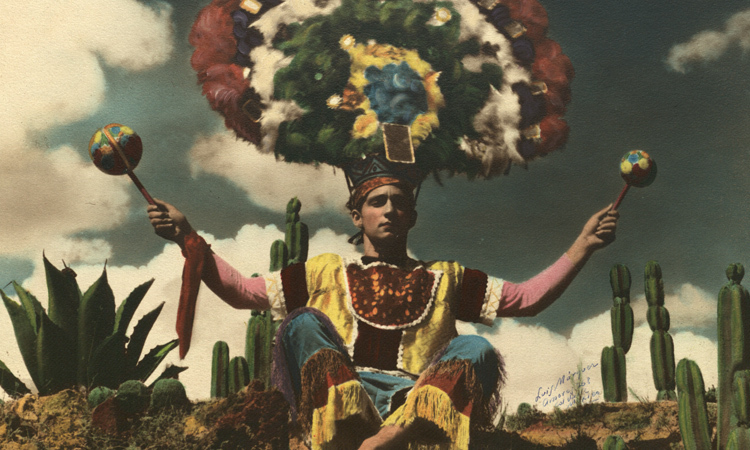 This digital collection features historic, hand-tinted color photographs depicting the people and culture of Mexico in the 1930s. Subjects include musicians and dancers in traditional dress, vendors displaying their wares, and people posing in colorful settings. Photographer Luis Marquez signed each of the 27 prints in the collection. Of particular interest is the elaborate clothing worn by performers, including three men demonstrating a native dance, a man in a headpiece displaying maracas, and a woman playing guitar. The richly colorful nature of the collection is further illustrated in photographs of people with painted vases, embroidered dresses, strings of flowers, decorated bowls, and woven blankets. Titles of the digital pictures are taken directly from inscriptions on the photos themselves. The photographs reside in a 20-1/2 inch by 12-1/2 inch detailed leather album, embossed with the date 8-10-1937 and the name Mrs. S.U. Allred. The album and its contents were given as a gift to Mrs. Allred after she and Texas Governor James V. Allred visited Mexico in 1937. The original materials are available in UH Libraries’ Special Collections in the Governor James V. Allred Papers. The Mary F. Lopez Papers document the life and times of Mexican-American activist Mary F. Lopez (1921-2015), and to a lesser extent the war-time experience of her husband, Jose R. Lopez. 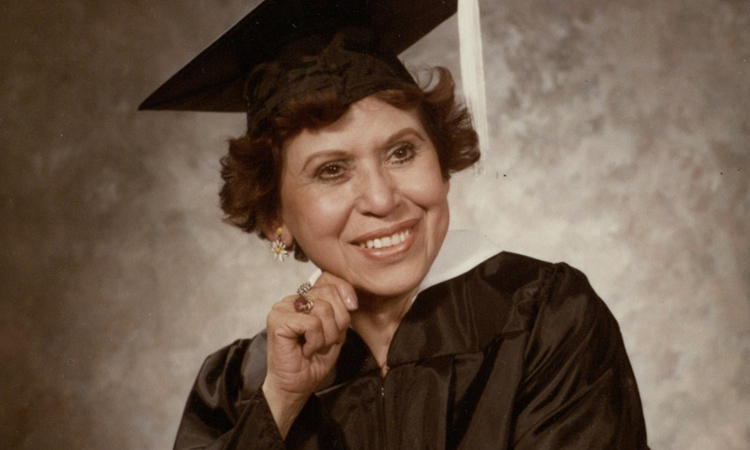 Originally born in Brownsville, Texas, Mary Fernandez Lopez later moved to Houston in 1943, where she started a family and began her involvement in efforts to improve living conditions and rights of Latinos in the Houston area, specifically her neighborhood of Magnolia Park. Of the 80 items in the collection, photographs, correspondence, publications, and clippings make up the bulk of the collection. Materials related to Mr. Lopez’s service in World War II and Mary’s work with Houston civic organizations are of particular interest. The original materials are available in UH Libraries' Special Collections in the Mary F. Lopez Papers. The Mexico Documents Collection contains 162 documents (personal and official correspondence, government orders, decrees, pamphlets, and government announcements), varying from a parchment document with elaborate signature to official typed decrees from the Office of the President. Chronicling Mexico from 1570-1913, the collection spans four distinct periods of Mexican history: the Colonial Period, Mexican Independence, the Mexican-American War, and the Mexican Revolution. A large portion of the collection is from the years between Mexican Independence (1821) and the end of the Mexican-American War (1849). Nearly all of the items are in Spanish but many have accompanying English translations. 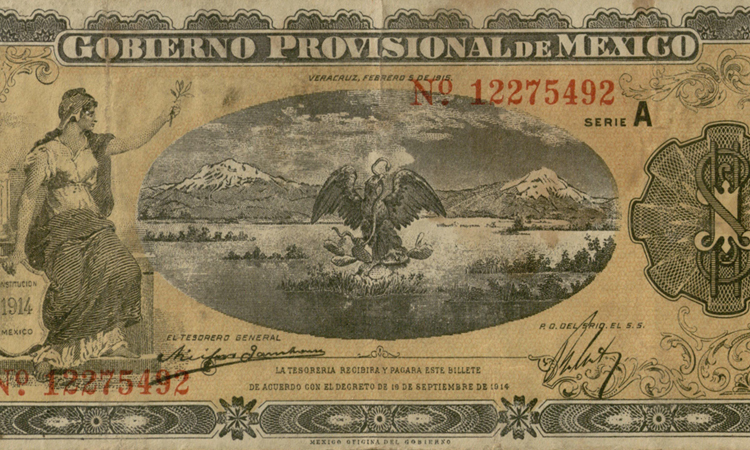 Notable individuals found in the collection include Mexican Presidents, Santa Anna de Lopez and Porfirio Diaz, and Jose Joaquin de Hererra. Additionally, some materials document American military actions in Mexico during the Mexican-American War. Lastly, there are an assortment of documents chronicling religion in Mexico as well as business and land transactions. 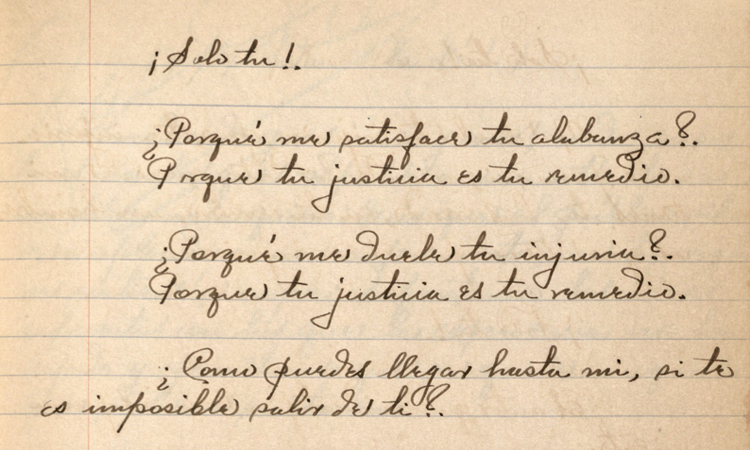 The original materials are available in UH Libraries' Special Collections in the Mexico Documents Collection. 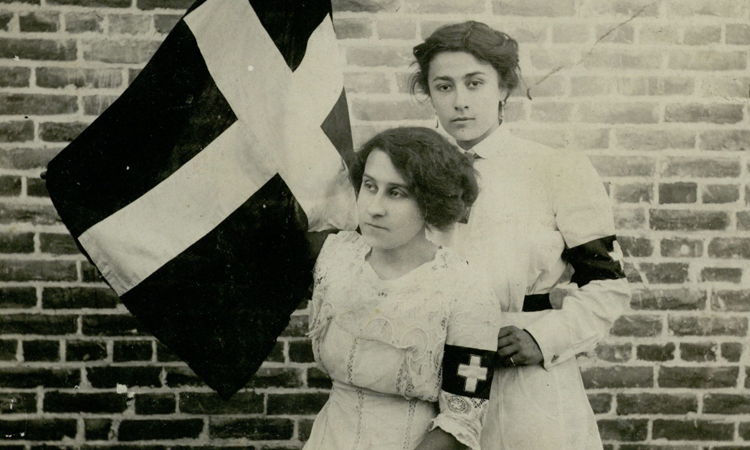 This collection contains 146 photographs and postcards related to Leonor Villegas de Magnón’s personal life, political activism with the international relief service La Cruz Blanca (the White Cross), and the Mexican Revolution. Photographs highlight Magnón’s pioneering work along the Mexico-Texas border as well as her relationships with fellow activists, participants of the Revolution, and friends and family. Items in the collection are annotated in English and Spanish and include portraits, landscapes, and miscellaneous illustrations dating from 1894 to 1918. Notable individuals in the collection include Venustiano Carranza, Jovita Idar, Porfirio Díaz, Francisco Madero, and Pancho Villa. 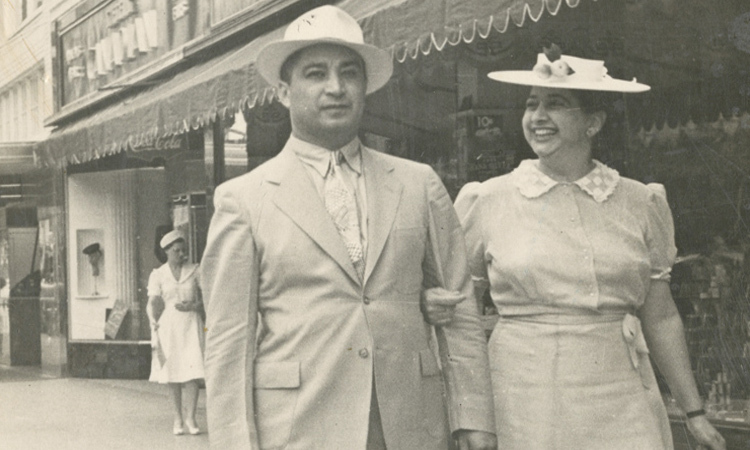 Magnón, a Mexican citizen and life-long resident of Laredo, Texas, was a trailblazer and leading force on a variety of issues related to Mexicans and Mexican-Americans. Among her many accomplishments, Magnón founded and financed La Cruz Blanca to provide more organized medical assistance to soldiers wounded in the Mexican Revolution. More details on this work can be found in her autobiography, La Rebelde (the Lady Rebel). In the years after the Revolution, Magnón opened a bilingual school for children and contributed to female civic organizations in the U.S. and Mexico, traveling back and forth from Laredo until her death in 1955. The original materials are available in UH Libraries' Special Collections in the Leonor Villegas de Magnón Papers. A civil rights lawyer, diplomat, political leader and soldier, Alonso S. Perales (1898-1960) was one of the most influential Mexican Americans of his time. These photographs and documents, highlighting aspects of his life and career, were part of a larger exhibition, In Defense of My People: Alonso S. Perales and the Development of Mexican-American Public Intellectuals, on view at the M.D. Anderson Library from December 8, 2011 through February 29, 2012. Perales saw himself as a defender of la raza, or race, especially battling charges that Mexicans and Latin Americans were inferior and a social problem. Perales was one of the founders of the League of United Latin American Citizens (LULAC) in 1929 and helped write LULAC’s constitution. He served as the organization’s second president. An intellectual who firmly believed in the law, Perales wrote about civil rights, religion and racial discrimination, which he argued “had the approval of the majority.” His work included the pamphlet Are We Good Neighbors? and the two-volume set En defense de mi raza. A member of the American Legion and the San Antonio Chamber of Commerce, Perales was also a columnist for La Prensa and other Spanish-language newspapers. Highlighting the 2010 acquisition of the Alonso S. Perales Papers by the University of Houston Libraries’ Special Collections Department, courtesy of the Perales Family and the Recovering the U.S. Hispanic Literary Heritage Project, scholars presented their research on this trailblazing public intellectual at a day-long conference (January 13, 2012) bearing the same name as the exhibition. These presentations shed light on Perales’ activism and defense of Latinos, including the chronology and history of Mexican American and Latino civil rights movements, the impact of religion on Latinos, the concept of “race,” and individual versus community action to bring about social and political change. The original materials are available in UH Libraries’ Special Collections in the Alonso S. Perales Papers.